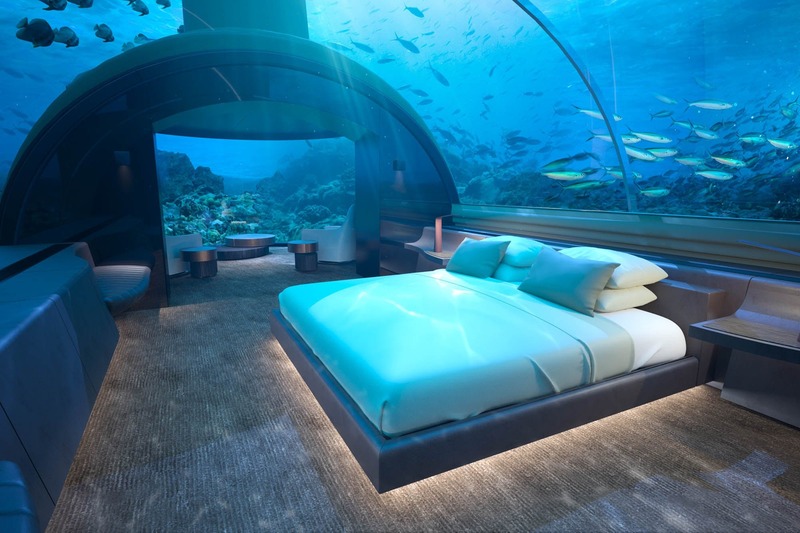 The Conrad Maldives Rangali Island has officially announced the opening of the world’s first underwater hotel residence, a groundbreaking, two-story villa submerged more than 16 feet below sea level in the Indian Ocean. The deep-set dwelling, designed by Maldavian architect Ahmed Saleem with interiors by New York-based Yuji Yamazaki Architecture, is an ambitious display of architecture, design, and technology. The villa is named The Muraka, which means “coral” in Dhivehi, the Maldives’ native language, for the way it rests on the ocean floor. 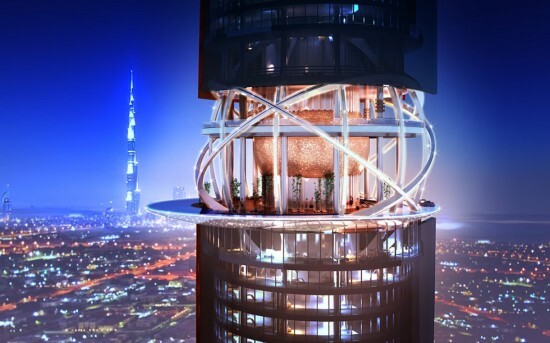 The structure is composed of concrete, steel, and acrylic glass, with a spiral staircase and private elevator to aid guests in their descent below sea level. Once underwater, the structure’s glassy tunnels and see-through walls—made up of only a slender, acrylic dome—separate the spacious living quarters from the adjacent tropical reef. Equipped with a private bar, butler’s quarters, gym, and infinity pool, the sunken retreat embraces luxury. The massive bed, shower, and bathtub in the underwater lower level have 180-degree, panoramic views of the ocean, and the top floor, which rests above the water, comprises a sprawling relaxation deck for tanning and unwinding. The elaborate suite isn’t cheap. It is only available for a four-night, $200,000 vacation package, which includes a personal chef, private boat, and an automatic upgrade to Hilton Diamond status. In addition to The Muraka, the Conrad hotel is home to Ithaa, a five-star undersea restaurant which opened in 2005. The construction of The Muraka was both innovative and environmentally conscious. Each piece of the 600-ton lower level was built in Singapore and then transported to the Maldives via a specialized ship before being plunged underwater and anchored firmly in place using ten concrete pilings. The sturdy pilings ensure that the villa does not shift or downright float away amid high tides or rough waves. The acrylic enclosing the lower level was supplied by Nippura Co., a Japanese aquarium manufacturer, and sealed with Shin Etsu Marine sealant. The architect also opted to work with a team of marine biologists to guarantee that the sprawling villa would not disturb the surrounding seabed, including the coral from which it derives its name. For travelers who aren’t brave enough to spend four nights in the depths of the Indian Ocean, the Conrad also boasts a number of luxury villas that sit on stilts above the water. 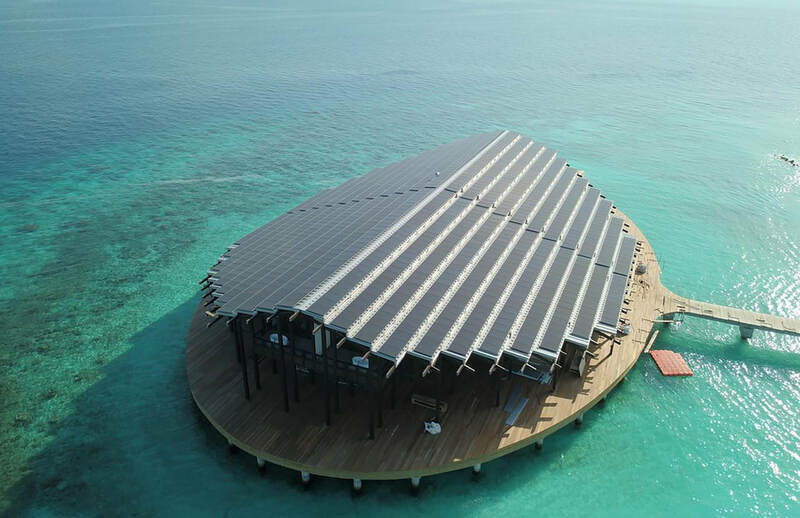 Hot on the heels of the world's first underwater resort opening in the Maldives, an upscale hotel has opened a building with a distinctive solar panel roof on a private island in the Indian Ocean archipelago. New York's Yuji Yamazaki Architecture (YYA), which also created the submarine building, designed the new destination, known as the Kudadoo Maldives Private Island. The architects claim that the 320-kilowatt-peak (kWp) capacity of the roof system is enough to power the entire resort and that the system will recoup its cost after five years of use. Other design touches, like gaps between the panels to allow filtered interior daylighting and an extensive canopy overhang for shading, aim to minimize power use. The Maldives, a low-lying collection of atolls in the middle of the ocean, are exceptionally sensitive to climate change and any subsequent sea-level rise. Some studies estimate that islands like the Maldives may be uninhabitable by the middle of the century as rising sea levels flood aquifers, damage infrastructure, and submerge livable space. This makes the use sustainable power sources like solar panels particularly salient for the area. YYA chose to celebrate the panels on the roof rather than minimizing them or trying to camouflage them among other materials. Visitors will primarily approach the resort by plane, and the panels will be one of the first things they see. Of course, rooms at the private island don't come cheap. A recent search showed rooms starting at $2400 a night. 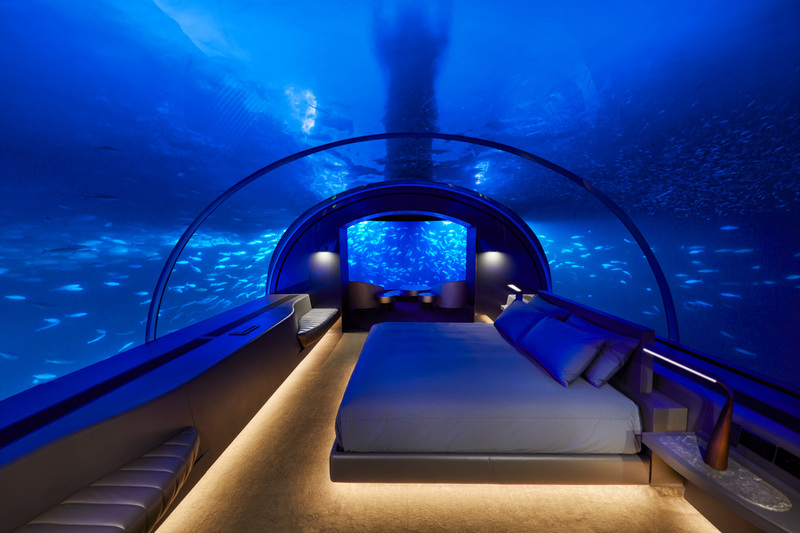 The Conrad Maldives Rangali Island has officially announced the opening of the world’s first underwater hotel residence, a ground-breaking, two-story villa submerged more than 16 feet below sea-level. Now urging guests to dive below the surface of the Indian Ocean, the deep-set dwelling is an ambitious display of architecture, design, and technology. The villa is named “The Muraka,” which translates to “coral” in the Maldives’ native language, Dhivehi, for the way that it rests along the ocean floor, peacefully observing the sea life that surrounds it. The sunken retreat embraces luxury, equipped with a private bar, butler's quarters, gym, and infinity pool. The massive bed, shower, and bathtub have panoramic views of the ocean. The top floor, which rests above the water, comprises a sprawling relaxation deck for tanning and unwinding. The elaborate suite isn't cheap. 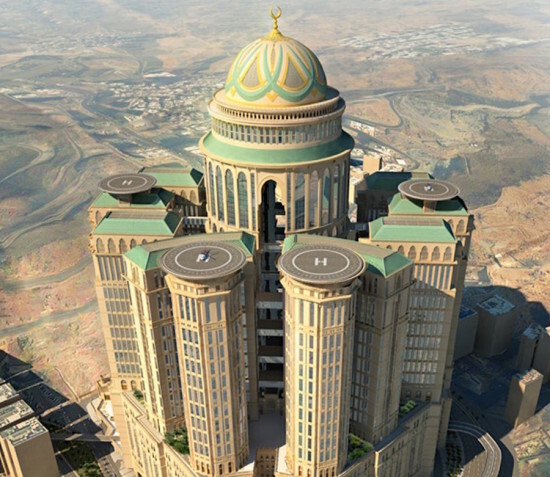 It costs an astounding $50,000 per night, although it is only available for a four-night, $200,000 vacation package, which includes a personal chef, private boat, and automatic upgrade to Hilton Diamond status. In addition to The Muraka, The Conrad is home to Ithaa, a five-star restaurant submerged below the sea. The construction of The Muraka was both innovative and environmentally-conscious. Each piece of the modular structure was built in Singapore and then carefully shipped to the Maldives, before being plunged underwater and nailed into place using thick, concrete pylons. The sturdy pylons ensure that the villa does not shift or downright float away in the midst of high tides or rough waves. 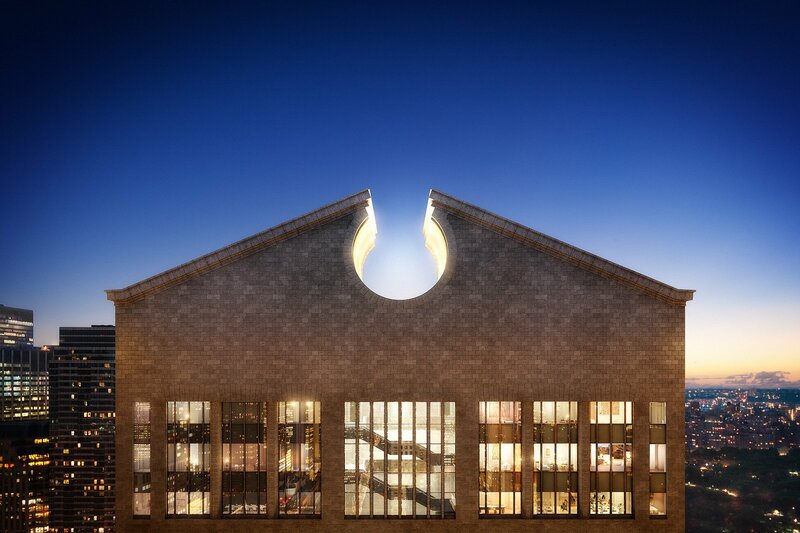 “The completion of The Muraka is a personal lifetime achievement,” said Ahmed Saleem, chief architect and designer of the residence, in a statement. “After years in the making, my team and I are proud to officially present The Muraka residence and its accompanying Maldivian experience to worldly travelers who crave the extraordinary." For travelers who aren't brave enough to spend four nights below the depths of the Indian Ocean, The Conrad also boasts a number of luxury villas that sit above the water. Rising to 647 feet on Madison Avenue between 55th and 56th Streets, the Sony Tower (formerly the AT&T Building) has been a long standing icon of the Postmodernist movement. Designed by Phillip Johnson in the early 1980s, developer Joseph Chetrit last year hired Robert A. M. Stern to transform 22 floors in the 37-story tower into 96 luxury apartments. Units were set to start at $11 million. In 2015, The Real Deal reported that a $150 million penthouse, complete with a marble staircase and spanning three floors was in the making. Covering floors 33 through 35, the space was previously a corporate boardroom. Additionally, eight floors would be home to a five star hotel under the Oetker Collection. Holding 170 rooms, the hotel was also set to be designed by Stern. Now, however, it seems such plans have been drastically curtailed. After purchasing the Sony building for $1.1 billion in 2013, Chetrit this week agreed to sell the tower for $1.4 billion to the Olayan Group and Chelsfield. According to the New York Times, both firms have said that the building will now become an office building. Sony, then it seems, appears to have cashed in at the right time three years ago when the upper echelons of the real estate market were in high demand. Chetrit's sale is indicative of the market slowdown. The "one percenters" looking for luxury in the city have dropped off the radar of late, as plans for a "superluxury tower" by Central Park South have also been abandoned. Meanwhile, another who had proposed a similar project on York Avenue and East 76th Street is reportedly in bankruptcy court. 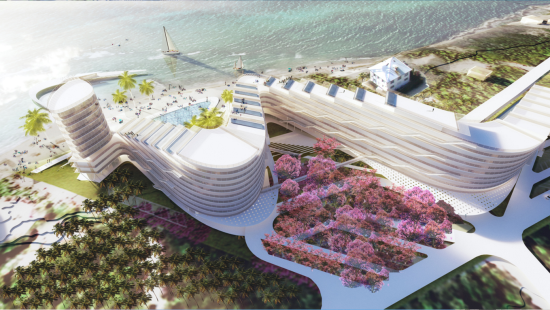 Mexico City– and New York–based architecture firm TEN Arquitectos has been tapped to design a new mixed-use luxury hotel in the Cayman Islands. The $250 million project’s developer, Beach Bay Land Ltd, announced the selection this week at Art Basel. The project, which will be located in St. James Point, Grand Cayman, will feature a 200-room hotel with more than 90 residential units, high-end retail, restaurants, and, of course, spaces for water sports activities. According to the developer, it will create “a unique experience with service levels unprecedented within the region.” Sensitivity to the existing tropical environment will be an important component of the design scheme. As described by the architect, the mixed-use resort will integrate architecture “in harmony with nature while offering the highest standard of luxury accommodation.” “Providing more integrated environments for living and travel, without their losing connection to nature or sense of place, is key to the success of a project like this,” said Enrique Norten of TEN, in a statement. “We have a unique concept here that will fit harmoniously within the landscape.” The development will “provide everything necessary for St. James Point to compete successfully,” Cayman Tourism Minister Moses Kirkconnell told the Caribbean Journal. Slated to open in Fall 2018, the project represents TEN Arquitecto’s first in the Caribbean. The firm’s latest project, CENTRO, a cross-disciplinary university focused on the creative fields, opened this past October in Mexico City. Another recent TEN project includes the Mercedes House, one of the new luxury rental additions to Manhattan's Midtown West. 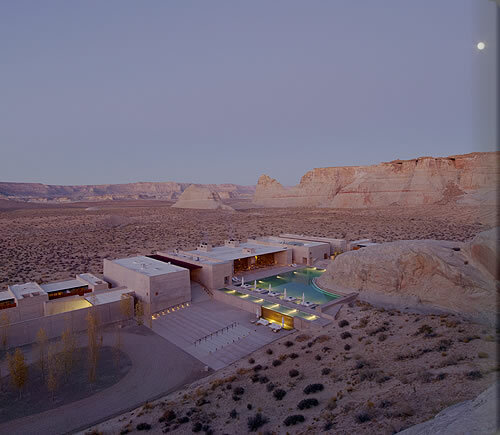 Enrique Norten, who founded TEN in 1986, was also this year’s recipient of the Richard Neutra Award for Professional Excellence, joining the ranks of renowned architects Samuel Mockbee, Thom Mayne, and Tadao Ando. 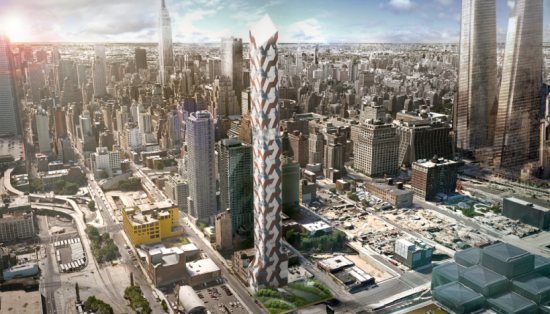 Though New York has over 100,000 hotel rooms, developers on Manhattan's Far West Side feel there's room for more. Matthew Rosenberg, founding principal of Los Angeles–based M-Rad Architecture, has completed the concept design of Hudson Americano, a 740-foot-tall, 160-suite hotel at Hudson Yards. Commissioned by New York developer Black House, Hudson Americano is targeted towards wealthy international visitors. Per the luxury amenities arms race, the hotel will have a three level spa and two pools. The checkered glass, metal, and concrete facade reflects excess light during the warmer months and absorbs heat in the winter to balance the ambient temperature inside. M-Rad will strive to achieve LEED Gold certification for the completed structure. Hudson Americano is not M-Rad's first try at a splashy facade. Earlier this year, the firm unveiled a live-work tower for downtown Las Vegas that requires residents to travel through community spaces—a cafe, grocery stores, or an extensive spiral ramp—to reach their destination. As in the 21c hotels in Louisville and Cincinnati, the restaurant will be its own entity, with a high profile. The hotel will not be pretentious, Wilson said: "No gilt mirrors." Despite the pared-down aesthetic, it will be luxurious, with top-flight service, bedding and amenities; there will be light in all the right places, Wilson said. There might be polished concrete floors or a chandelier of scissors, he said.